Last view: 3 days Very nice port, Dracula X! Awesome work. I really like it! I'm feeling the Monster Party chills now (in a great way)! Looking forward to your future progress. Last view: 1 hour Thanks! I'm starting to understand this very well a little with a little help from Famitracker with NSF Importer. I'm working on a scary boss music track from the game as well and it's sounds pretty cool. Last view: 672 days Well if you can get a partial hack with your custom music, I'll give it a run late at night. Thank you very much. I finally managed to understand how it works. ^^ I also did a few tests on other stages and sprites and they all changed palettes successfully. It's very easy now that I'm familiar with it. But I have a new problem, and this one may be a little more complicated. It's about MM5/RM5. 1) I want to know how to add or remove floaty physics from a level. (I mean like the one from Star Man's stage). 2) I want to know how to swap music around in the game. For example: making Stone Man's BGM play on Charge Man's stage or vice-versa. I'd be grateful if someone could help me. MegaFLE X has the music swap option. The game itself by coding is 16 btyes. I think it's misc. on the GUI option and you are able to select the tracks. Last view: 1107 days Yep, I got around the problem last night. Running as administrator did the trick. I tried to edit my post but didn't see an option for that, so I said nothing to avoid double posting. Last view: 1107 days Thank you, I will look into this later. For now I will just stick to Mega FLE X since it's easier to do it there. Last view: 1107 days Edited for great justice. (Also because the post was too long and nobody was going to help anyway, so there's no longer a reason to keep it around). Last view: 529 days Is there a quick-weapon switching patch for Rockman 4 floating around anywhere, like Korxtendo's MM3 one? I know it's been done before, but I haven't been able to find a simple way of adding it to an in-progress hack (or even a clean rom file). Last view: 1107 days I was wondering about this for a while but only decided to post it now. Does anyone know what happened to Yosaku's Rockman Sparking to Hero? Music apart, the only thing left to modify is Wily Stage 4. (According to the latest update I have, at least). I enjoyed playing that hack a lot and it's a shame to see Yosaku stopping progress on the very end. Is he having trouble to edit what's left or did he lose interest or something else? I'm pretty curious to know. Thank you, I will look into this later. For now I will just stick to Mega FLE X since it's easier to do it there. Hi there, synnae. I could help actually. Well, maybe this weekend, but not sooner. Basically, in MM3, all I had to do (with some help) is to swap the music pointers for affected stages, change which stage gives which weapon, rewrite the Get Weapon messages, and even completely move stage data, because I originally didn't plan to do this Stage Select screen change. It's not hard to do at all, just a bit complicated and took more time than it should have. I'll try to look up every offset and stuff for MM5 in my spare time. Right now, I don't have much time work on my own projects. I was wondering about this for a while but only decided to post it now. I noticed that Yosaku's Twitter is gone because I can't find his account. Yosaku was going to include updates before completing Wily 4 but I can't seem to figure why the project being stopped especially if the project started in 2008. How can I swap boss order around in the game? It was way much easier than I thought. In order, 08 is MM's slot, every 3 byte is a row (050007 is row 1). You can check which RM is which level ID. The game still clears the wrong windows after a boss is defeated however, I'll look into it as soon as possible. MM5 coding is much "smarter" than MM3. Heh, I was wondering about that as well. Yeah, I suppose that that's how I was thinking when I thought Mega Man 3 seemed to be the current main focus around here; the fact that most of the current projects are Mega Man 3 hacks. 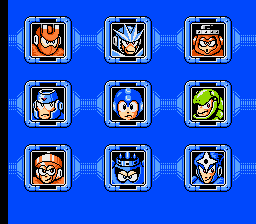 Though, I didn't mean to neglect considering ROM hacking projects of the other games from in the past, or currently active, ongoing projects like Mega Man 4 Voyage. Just by considering Mega Man 3 hacks like Megaman Odyssey, Megaman 3 Improvement, Mega Man Crimson, and Togetic, that's primarily why I felt like the game has had some considerably large overhauls to it (regardless of details concerning the projects' statuses and whatnot). Thank you for your personal insights. I appreciate you sharing them. There are definitely many hacks of the multiple original games overall, and for someone like me who has only played the originals a little bit, it feels a bit overwhelming to consider the thought of trying to play them all, let alone doing well at them. Heh, it's nice to see that my hack gets mentioned. Anyway, since I'm here, I'll make an official disclaimer. No, my hack is not cancelled. However, it is on hold because I'm working on a Sonic 1 hack right now, and Togetic is supossed to be a sequel to said Sonic 1 hack. The editing I had to do was not through hex, but actual ASM. Yes, that's right. Sonic 1 and 2 as well as 3 & Knuckles actually have honest-to-god disassemblies. The good thing about that: I actually can do ASM hacking on it. Heck, I was even able to port an badnik from Sonic 1 to Sonic 2, something that I wouldn't be able to in any MegaMan game. 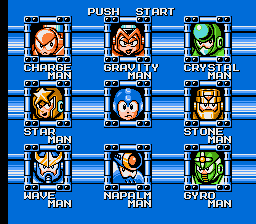 How about we just create a disassembly to whatever MegaMan games need to be hacked? That way, ASM hacking on MegaMan games can be made much more accessable since the hacker would then use actual ASM commands instead of poking around with a hex editor and hoping for the best. That would also mean that I would be able to make my hack much easier and not depend so much on other people. I mean, that already works with the Sonic games, so why not with the MegaMan games? I want those to have lots of ASM hacks, too. It would have 3 main ASM files. One for constants, one for macros, and one for the actual code. Maybe also divide the actual code into multiple ASM files and include them in the main ASM file. So, guys. What do you think? And who would be up for the task of doing the disassembly? Because while I wont be able to make it alone, I could definitely help out whoever wants to make the disassembly. MySQL - queries: 127, rows: 168/0, time: 0.147 seconds.